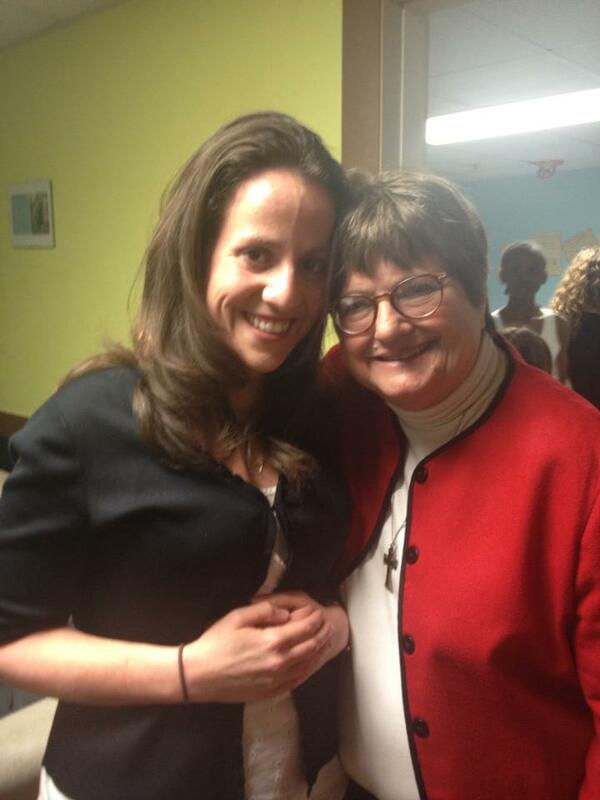 When I was an undergrad at a fine Jesuit institution, Sister Helen Prejean came to speak. I didn’t know much about her then. The movie Dead Man Walking had put her memoir of the same name further into the spotlight a few years prior. In honor of her visit they ran the movie over and over on the school-sponsored cable station. I didn’t have a TV but caught most of it in snippets with friends in common rooms. The theme in the movie and the book, that all human beings have dignity, was just beginning to be recognizable in my immature heart. That Sister Helen was feted as a celebrity on a campus steeped in social justice advocacy was revelatory: this is what a community could be about. I remember less about her than about my own reaction to the reaction to her. Last night she joined us for the final performance of the opera based on her memoir. She spoke a few hours before the show, a talk which I had to miss. I was determined not to miss her when she came down to the dressing room before the show. I quickly did my makeup and got into costume and parked myself where I could see the stairs so that I would see her as soon as she came in. Our children’s chorus had been very excited to meet her, so when she came down stairs to the dressing rooms (I almost started clapping when she came down the stairs , stopping myself just in time) she went straight to the kids. There were pictures and autographs and she shut the door to talk to them and their chaperones. I had my phone ready to get a picture but she was taking a long time with them. I mentioned to some of my colleagues who were also hovering that that’s what happens when you have someone who actually cares about people in a room with a bunch of kids. Of course she’s going to give everyone individual attention. The door finally opened but she remained inside, talking to the parents of the young singers. Kids started walking in and out of the room. The girl playing my daughter asked me to sign her program and I got a little flustered. I found my name and signed “M Felice (AKA MOM! )”, then closed the program to see Sister Helen had written “to [Name] – Choose life!” on the cover. Her use of an exclamation point was more appropriate. My heart had been racing for about an hour when she finally came out to talk to the adult cast members. I couldn’t hold my excitement anymore so I walked up to her. She looked at me, a grown woman perspiring with anticipation like a teenage fan girl, with a little bit of pity and put her arm around me. I handed off the phone to a generous chorus member who snapped two shots. Thankfully, my only ambition had been to get a picture, not to impress her, because the latter did not occur. She went on to tell us how many good things she had heard about the show from the composer and how happy she was to be with us. We stood around her for a few minutes and she took a few more pictures. Then it was time to start the show. I took my place backstage, where I wrapped myself up in the traveler curtain to avoid being seen while awaiting my Very Important Moment of moving a piano bench on stage for one of the principals to sit on. Sister Helen joined our President and Artistic Director for the welcome speech before the opera began. She spoke easily and with a lightheartedness that may be her most powerful witness: even in the face of terrible things we can remain joyful. She made a little fun of herself for getting in over her head all those years ago, and then, to my surprise, referenced Faulkner, who said that the conflicts of the human heart are the only thing worth writing about. Hidden backstage, I turned those words over in my head. Is that what I’ve been writing about? And has it been worth it? The orchestra began to play and the curtain rose. The opening scene, which depicts the crime that sets the story in motion, is disturbing. It was staged as tastefully as possible, but was still tough to take. For some reason – was it the crepes before the show? The exhaustion of a long day? The Faulkner quote? A flare coming on? The excitement of waiting for Sister Helen to come out of the dressing room? 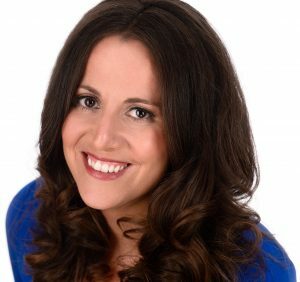 – I became lightheaded and had to ask the actress playing one of the other sisters if I could sit on the piano bench with my head between my legs while my gifted colleagues and friends acted out a terrible event on stage. The dear woman playing Sister Rose watched me like a hawk, worried, as I took deep breaths and wiped the sweat from my forehead. When it was time for her entrance I straightened up slowly, and soundlessly moved onto the dark stage to slip the bench behind her knees so she could be seated when the lights came up. All it had taken was those few seconds of rest for my lightheadedness to go away, and it didn’t turn into a longer spell of distress. I was able to go on stage with the rest of the ensemble, and was able to help with strike, that frantic rush of breaking down a show that distracts us from the sadness that comes after final bows. As I was waiting for strike Sister Helen passed by me again on her way out. I thanked her and she was gracious. She had been gracious to everyone, and inspirational. I was not the only person to watch her with wistfulness and admiration as she walked out the stage door. Yes, yes indeed, that is what inspires all writers… and it has been worth it for me, and it HAS been worthi it to you, and to all of your readers, Margaret… Believe it ! You are SO special and inspirational. I am moved, although not at all surprised, by your account of meeting Sister Helen. What a testimony she is to LIFE in all its myriad manifestations. The thing that astonishes and inspires is that she is willing not only to face, but embrace, the most repulsive, most hateful, and messiest, parts of human life and the human psyche, just because they too comprise our experience as children of God and must be confronted and healed with love. I am so glad you had the experience of meeting her and performing her story for her. What an experience! I read Dead Man Walking before I saw the movie and it had a profound impact on me. So glad you had a chance to meet Sister Helen.